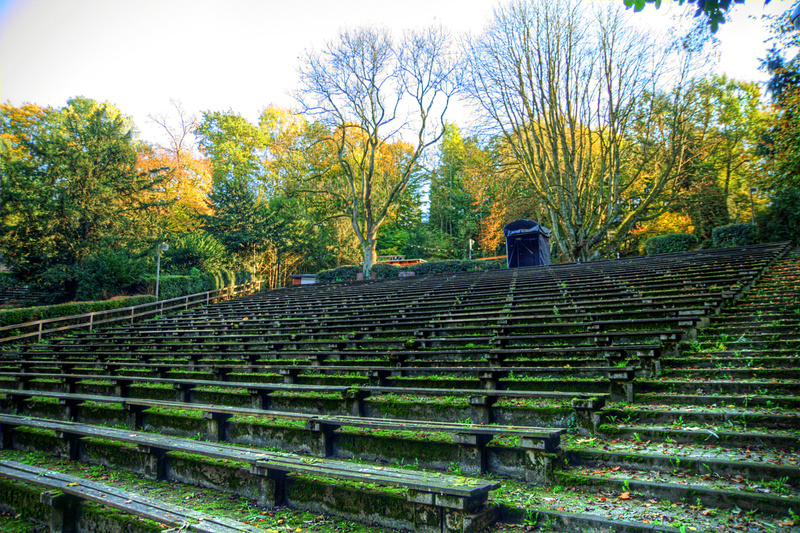 A view up the tribunes of Mülheim’s Freilichtbühne. 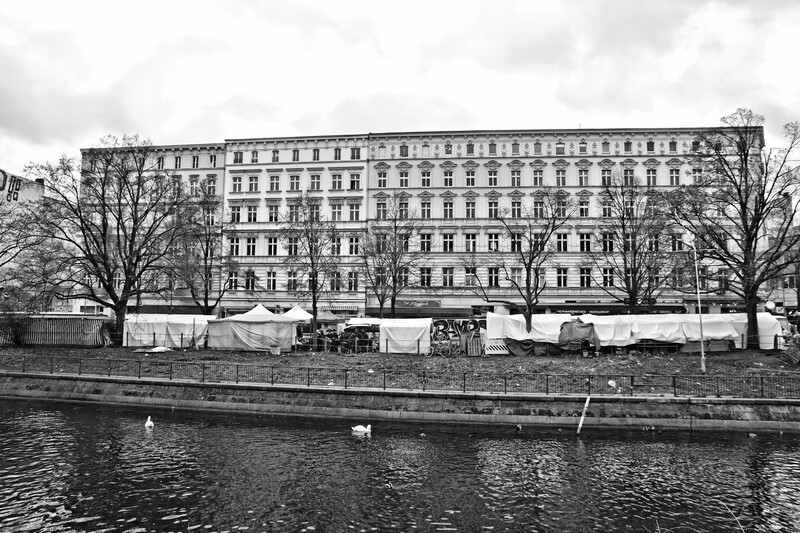 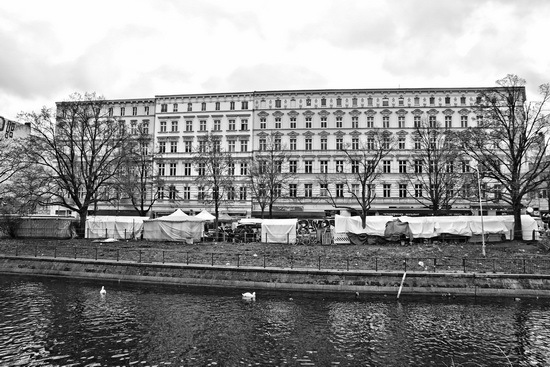 A block of typical Kreuzberg houses along the Maybachufer with the market in front of them. 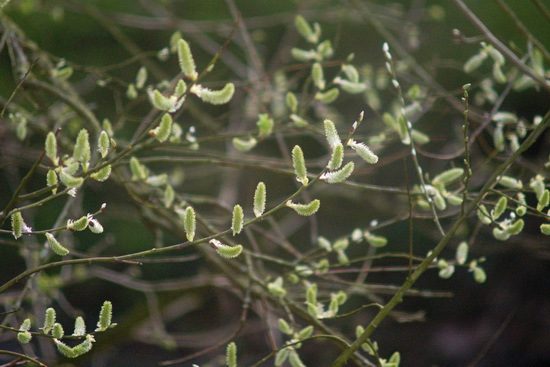 The tree left of the kitchen window has finally gone into spring mode!